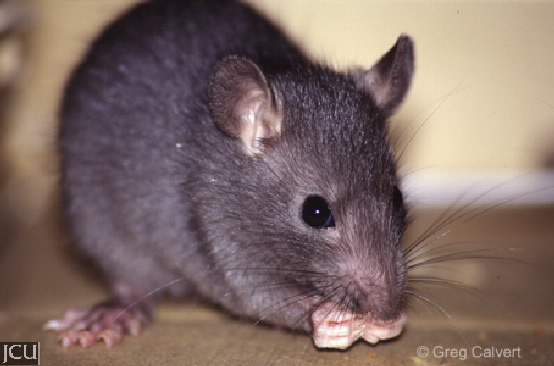 The colour of this rat varies from black to almost pure white although grey is the most common colour, belly is paler. A distinctive feature is the long tail often up to 23 cm long. Nocturnal, they can be found anywhere there are humans.